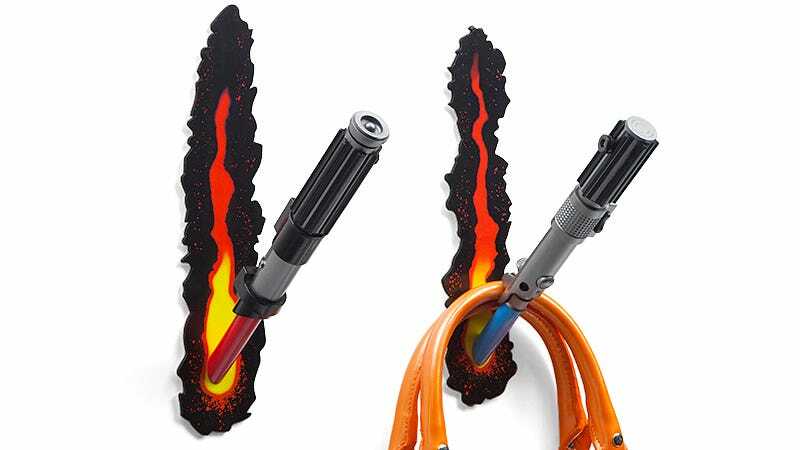 They’ll make your home’s front entryway look like the aftermath of a ferocious lightsaber battle, but these clever wall hooks that ThinkGeek created are just an illusion—no drywall was harmed in their making. Installation is as easy as screwing a baseplate onto a wall so that it’s secure, camouflaging it behind a removable sticker that makes the wall look scorched, and then attaching the lightsaber hilt. The $25 kit includes two versions of Anakin Skywalker’s lightsaber from before and after he became Vader, and the hardware needed to install it. You’ll just need to supply the tools, and maybe a Wookiee to do the work for you.